Many of us are on the move and don’t always have time to connect and read the content that interests us. For that reason, I create and post PDF versions of the articles that are published on my website. These downloads are available free of charge. In addition, I have a few useful forms that are posted to this page as well. I will periodically post new articles. Check back often to keep up to date on this reading material. According to a recent study by Gallup on employee engagement, 85% of employees are not engaged or are actively disengaged at work. In this article I lay out why I think this number is true, what leads people to be engaged/disengaged, what leaders can do to make sure that their team members are engaged and what we can do as individuals to become more engaged in our work. I also state personal examples of times when i was fully engaged, what led to that and how it felt to be fully engaged in my task. You can download this article for free by clicking here. A common request for coaching services is from individuals considering a career change. Career changes are complex, difficult and full of risks.. 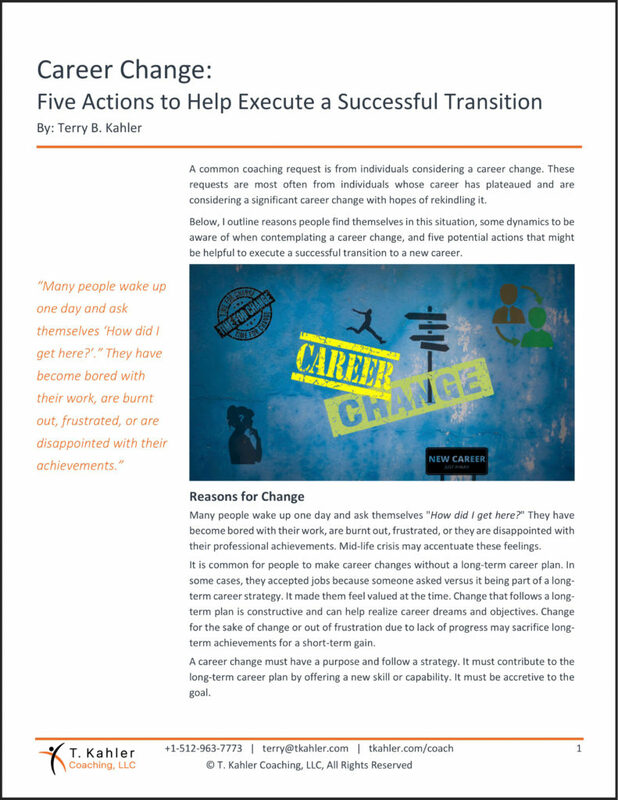 In this article, I lay out five actions that help minimize the risk of a career change and provides you with a template to maximize the success of a successful transition. Over the years I have developed a methodology for creating and delivering effective presentations. It has worked for me, and I thought it important to share what I have learned so that other people might benefit from this experience. 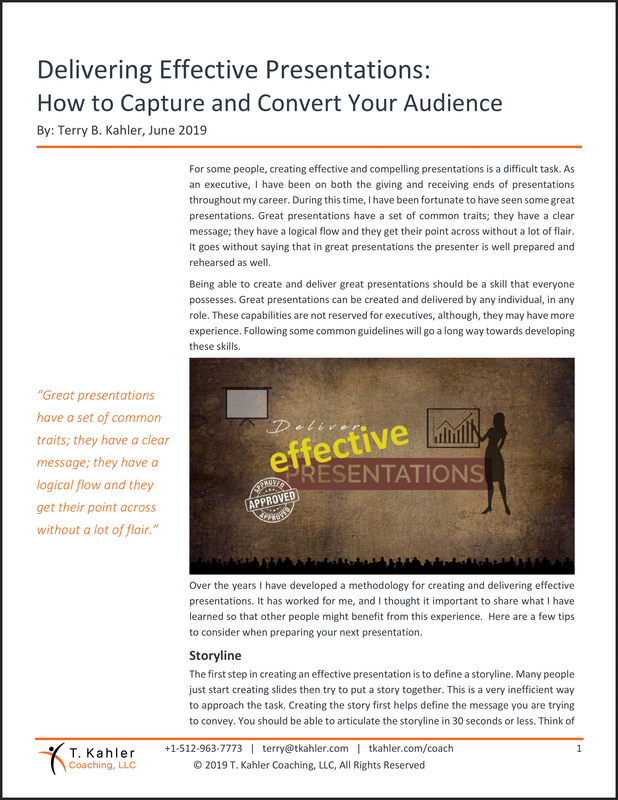 In this article, I lay out the importance of a storyline, how the presentation should flow, the content you might include, a segment I call the “Three C’s”, slide design principles and some tips on how to deliver the presentation. 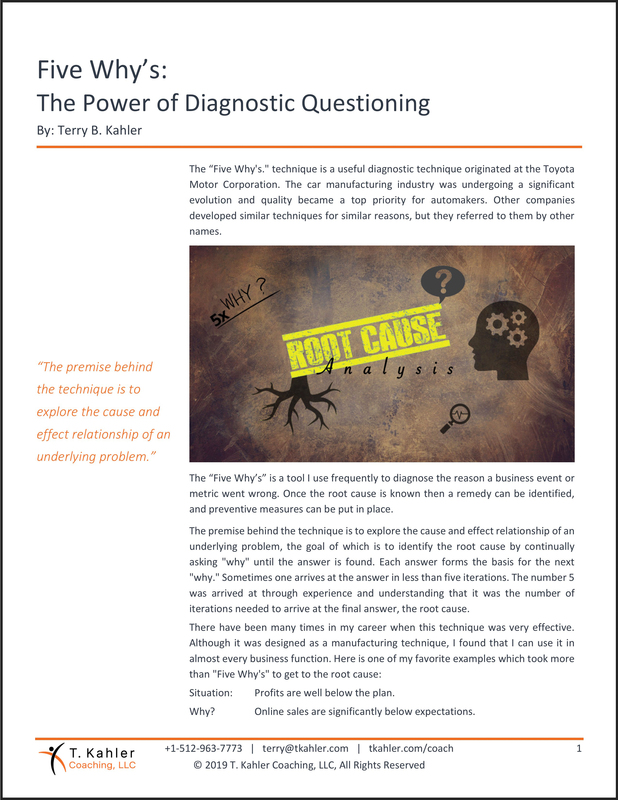 There is a technique I used to determine the root cause of a problem known in the manufacturing world as the “Five Why’s.” This useful diagnostic method originated at the Toyota Motor Corporation when car manufacturing was undergoing a significant evolution and quality became a top priority for automakers. Other companies developed similar techniques for similar reasons, but they referred to them by other names. In this article I discuss the premise behind the technique and how to leverage this tool to understand the cause and effect relationship of an underlying problem. I think this technique is a valuable tool that can be used in almost any business function. One of the most important leadership qualities is the ability to hold effective one-on-one meetings with a team member. It is critical that the manager and the team member are aligned on the business priorities and the relative weight of those priorities. I wrote this article to help leaders maximize their time with their team members and to help team members get what they need from their leaders. Often important topics are overlooked during one-one-one meetings and providing some structure not only maximizes valuable time but it also helps cover topics that are important to both individuals. Many companies are now requiring business cases for internal investments. 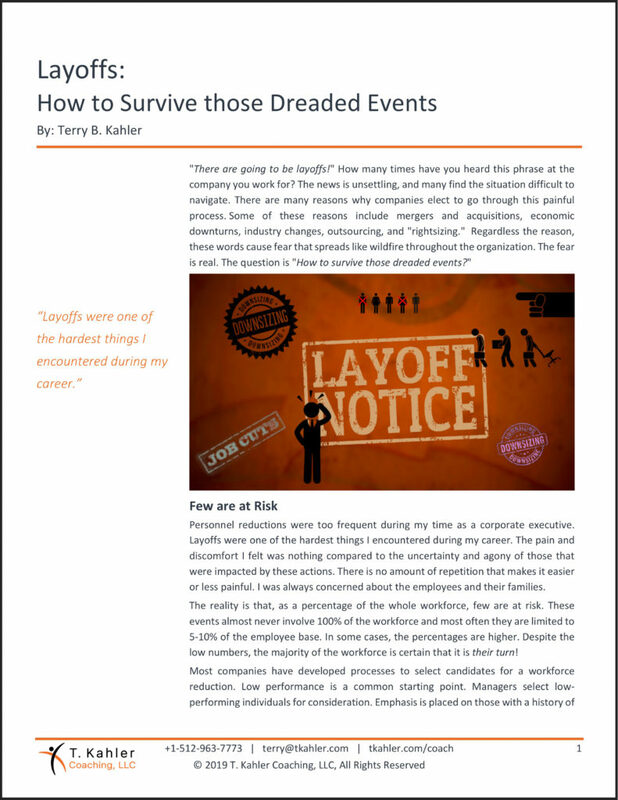 They have also set policies for minimum ROI and payback periods. I have been creating and reviewing business cases for many years and I have develop a methodology that has worked for me. 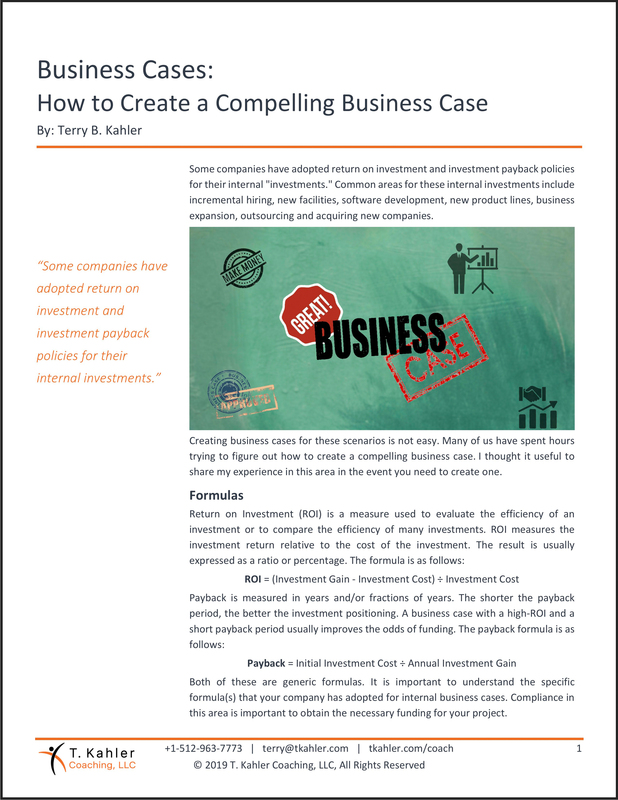 In this article I share a methodology for how to create a compelling business case. I outline the key elements as well as an approach that should be considered when putting together a justification for investment. We spend most of our lives influencing others. As children we attempt to convince our parents to buy us toys, as teenagers we attempt to convince them to let us stay out late, as young adults we try to romantically persuade those we are attracted to, and we use our influencing skills in the workplace to sell ourselves and our ideas. We rarely spend time learning how to effectively influence others. As a result, our influencing skills are not as effective as they could be. In this article I share a practical way to influence others. I outline seven steps you can take to improve your influencing outcome. In this article I outline some things you can do to avoid being part of the next reduction in force. This is a form that I have been using for quite some time. I came up with the idea many years ago when I was struggling to align all the resources with the priorities of the business. 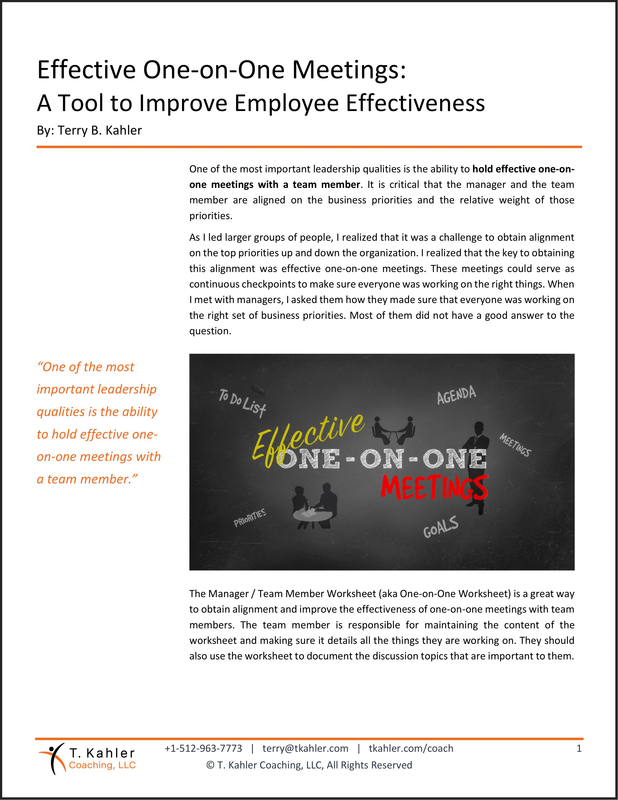 Not only is this is a great way to obtain alignment but it will also help improve the effectiveness of one-on-one meetings. The team member is responsible for maintaining the content of the worksheet and making sure it details all the things they are working on. 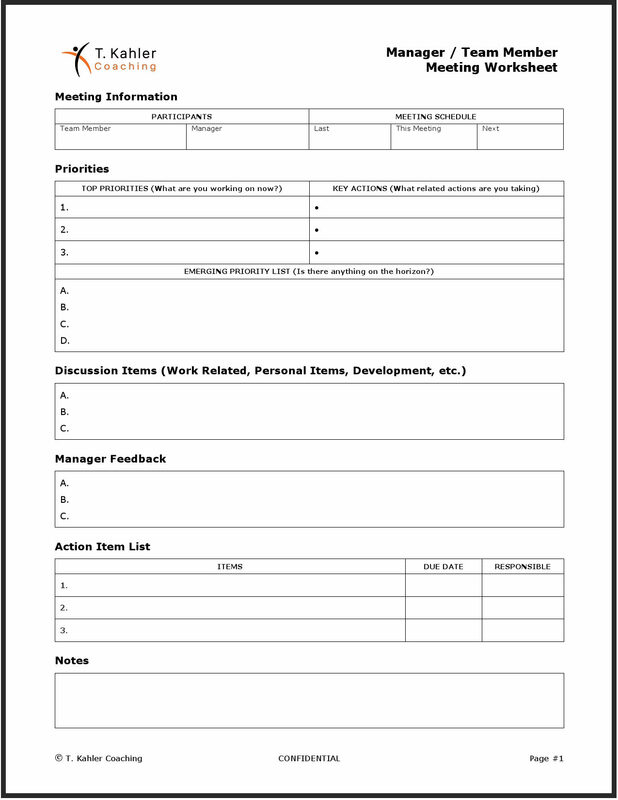 They should also use the worksheet to document the discussion topics that are important to them. I wrote an article on how to use this form. You can download the worksheet for free here or download the PDF version of the article for free here. Great product management is at the core of a company’s success. As a company, if you create good products and take good care of them then you have a higher likelihood of success.We are also a “product,” but most people don’t think of themselves as a “product.” We go through our daily work routines without “managing” our image and brand. We rarely stop to think of how we should manage our personal “product” and what needs to be done to make it better and more valuable. 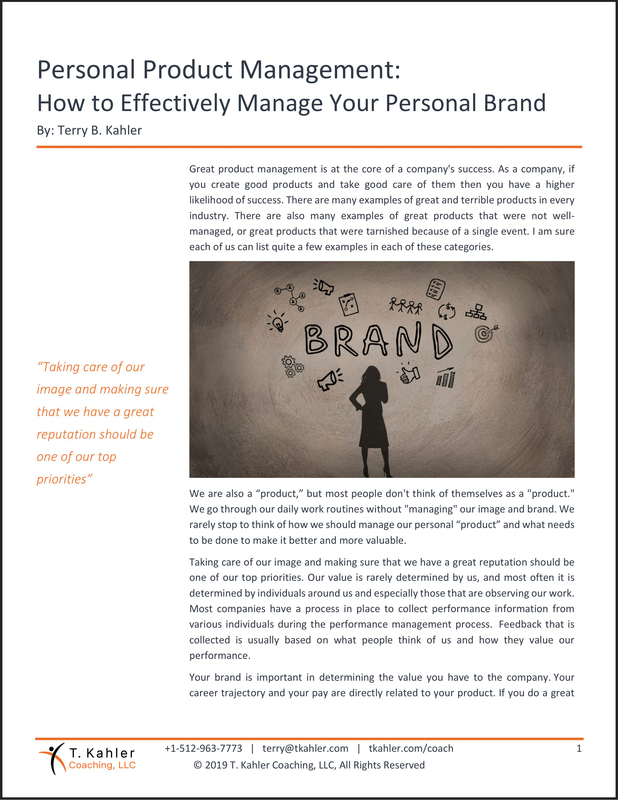 In this article, I lay out why managing our brand as a product is important, the steps you should take to maximize your brand’s image and how to avoid “unforced errors”. I know very few people that get excited about presenting. In a recent Prezi survey, 20% of respondents said they would do anything to avoid giving a presentation, including pretending to be sick. Presenting in front of an audience, especially superiors, is one of the most important things we do in our careers. Presentation fear is real. Fortunately, there are ways to deal with it. 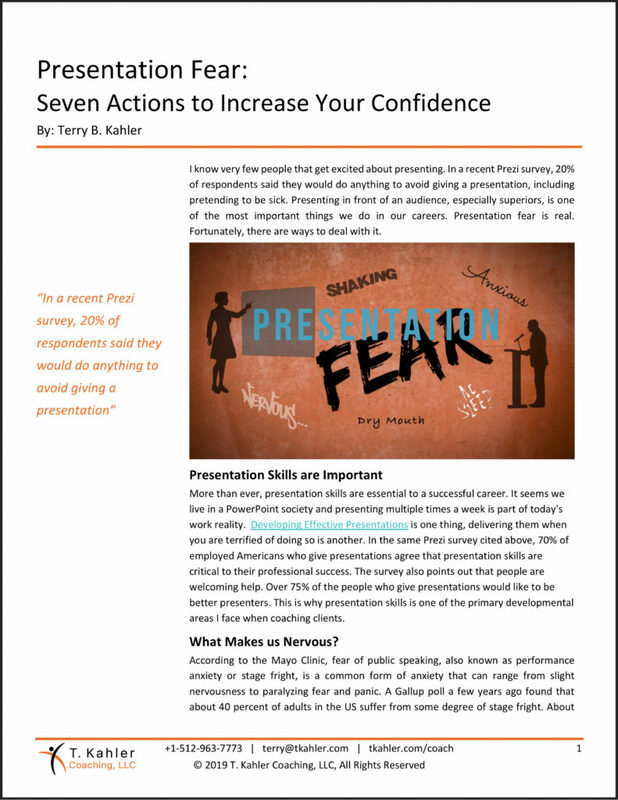 In this article, I lay out a few things you can do to reduce the fear of presenting in front of other people. Many people have asked me “What do I have to do to get promoted?” I get this question about “The promotion waiting game” mostly from high-performing individuals who are accustomed to receiving frequent and meaningful promotions, but for some reason have stalled out. 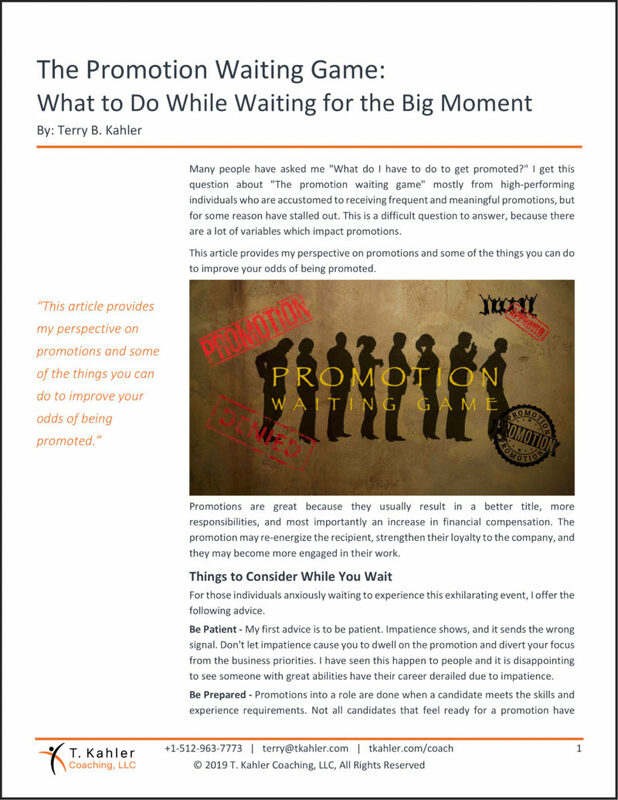 In this article I share my thoughts on what to do while waiting for a promotion to materialize and also what to do in the event a promotion does not happen. 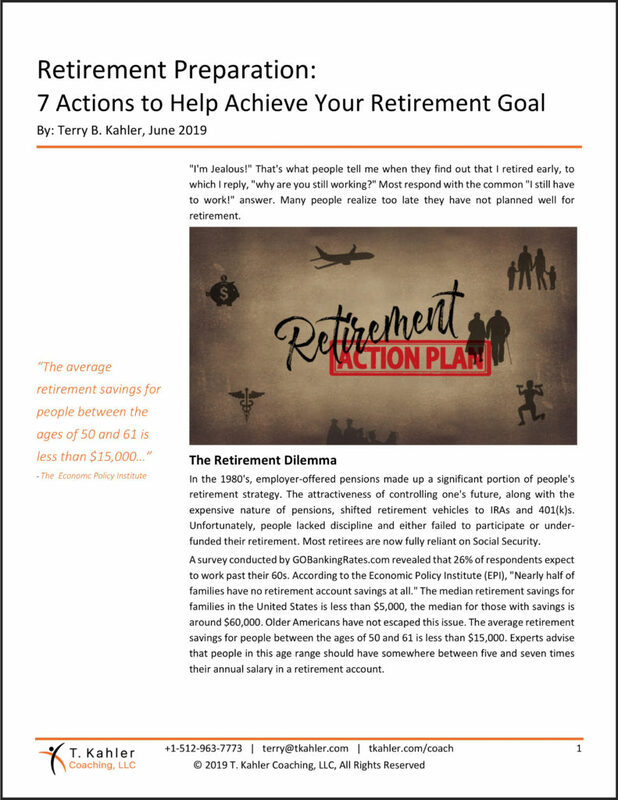 In this article I share the seven actions I took which helped me retire ready and early. Having a solid retirement plan and executing it faithfully will improve your odds of being ready. 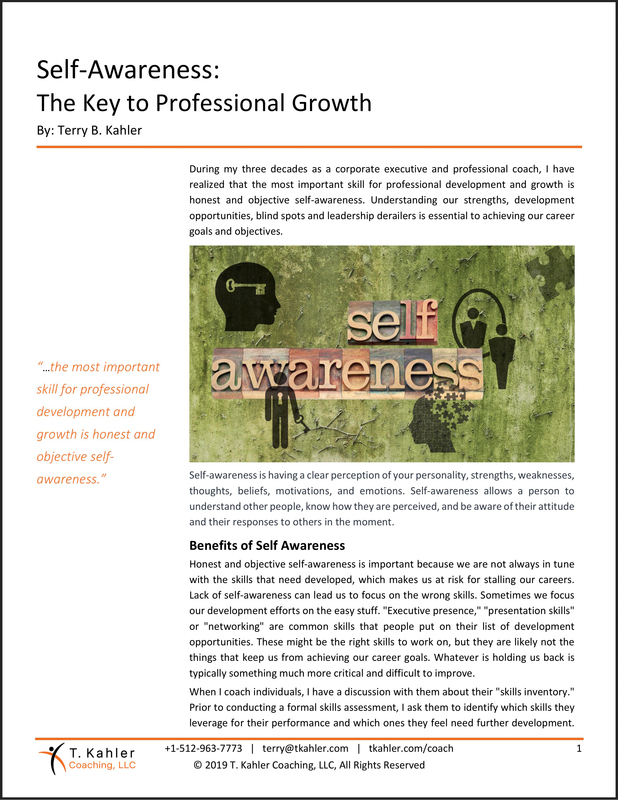 In this article I share my experience coming to terms with my self-awareness and the steps I took to gain better insights on who I am and how I am viewed by others. Identifying my career derailers helped me regain my trajectory and achieve my professional goals and objectives. Measuring performance for team members is a very hard thing to do. Sometimes, there is misalignment between the What and How behaviors. More weight should be given to how team members achieve their objectives versus focusing solely on what the team members achieved. 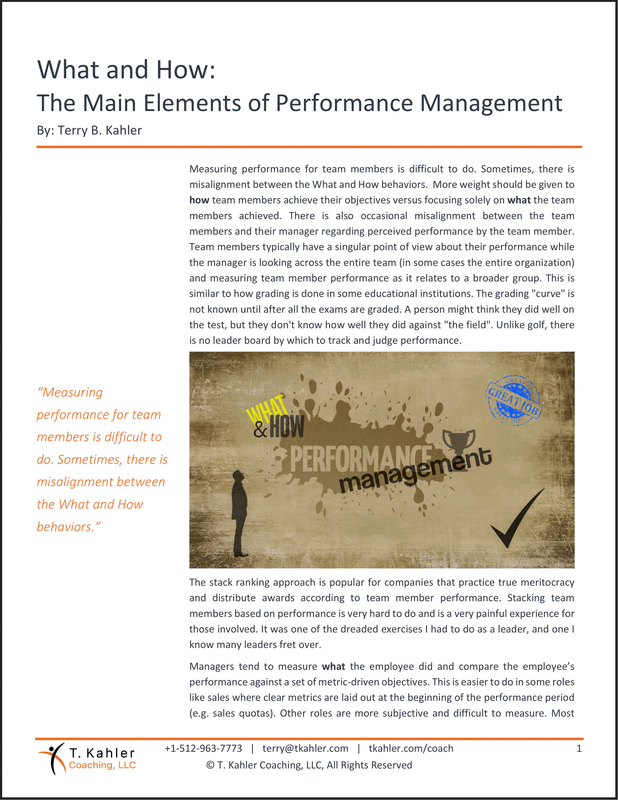 In this article, I point out how engagement, participation, leadership qualities, attitude, interactions with others and time management should be considered when evaluating team member performance. Please drop me a note below or send me a message via the Contact Me page if you have any questions about this content.